With four Live Cage tournament events, organized by the Winning Poker Network, having taken place earlier in 2018, we here at ProfessionalRakeback.com decided it was time we saw what all the fuss was about. 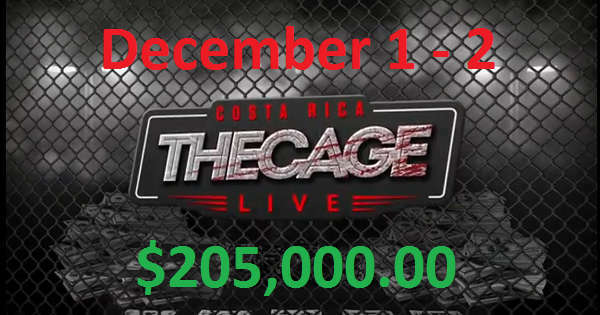 We therefore excitedly booked our flights to San Jose, Costa Rica and looked forward in anticipation to the $5,250 buyin Live Cage scheduled for Sat., Dec. 1, and Sun., Dec. 2. This was the first Cage Live to be held in four-card Pot Limit Omaha format; all previous installments have featured only NL Hold’em play. What Is the Live Cage? First, a little background info for those of our readers who are unfamiliar with the Live Cage. This is a rather unique poker tournament in that it’s a timed event. After 12 hours of play (6 on each of the two days), the tourney ends, and everyone with chips remaining gets to exchange them, at face value, for straight cash. Because the payouts aren’t based on finishing position, a lot of the nuances of MTT strategy, particularly those involving ICM and laddering up, become irrelevant. Moreover, while there are blind levels, they are very long (three hours), and the big blind never accounts for more than 1/50 of the starting stack. These differences have caused some to consider the Live Cage a special type of cash game rather than a tournament. Yet, it’s not exactly a cash game either. The fact that there are blind levels, however slowly structured, means that the implications of shorter-stacked play do manifest themselves toward the end of the contest. And the “You bust, you’re out” mindset of tournament play is still in full effect (with one slight modification, which we'll explain below). The Cage format was pioneered by Americas Cardroom and the Winning Poker Network, which developed it in 2014 and ran it exclusively online for several years. 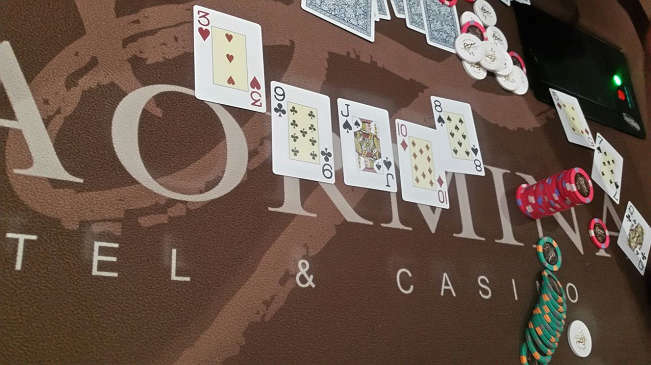 In March 2018, the first Live Cage event was held at the Taormina Hotel Casino in San Jose, and it has since returned every couple of months. 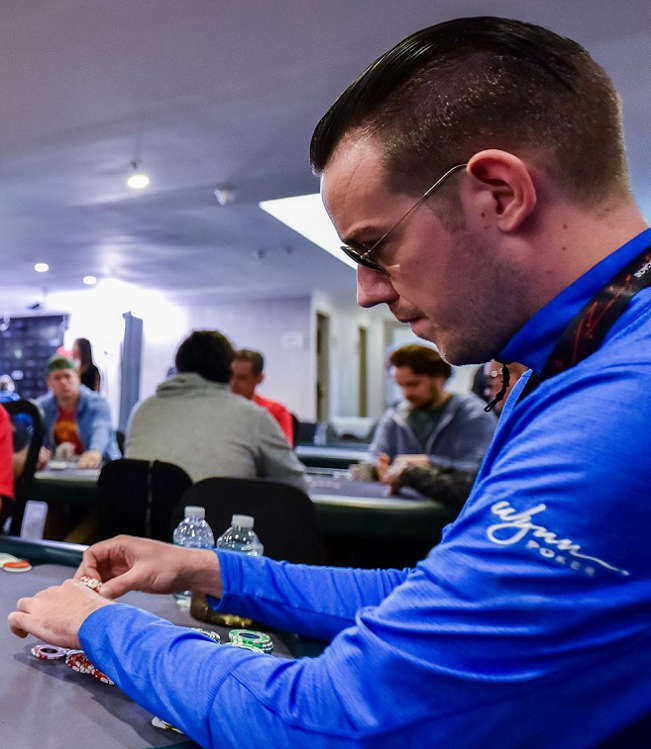 While it is possible to buy in directly to the Live Cage for $5,250, and six individuals did so this time around, the typical way of getting in is through online qualifiers. Americas Cardroom and its sister sites on the Winning Poker Network reward the top players on the weekly Beast cash game leaderboard and Sit & Crush competitions with free entries into $55 satellites for the Live Cage. Each online prize package winner receives the $5,250 entry, three nights' accommodations at the Taormina Hotel, $800 for airfare, and $1,000 in cash. The total value of each package is $8,340, and there were 24 people who obtained their seats to the December Live Cage in this manner. A total of 30 individuals joined the contest. The first day of play on Dec. 1 saw a lot of sparring and pots being shipped back and forth, and only nineteen people survived for the second day. At the end of the game, just 12 individuals still had chips in front of them, for which they received full payouts at that time. The biggest winner, Nick Boll with $50,485, wasn’t just the December Live Cage champion but also the recipient of the largest payday since the institution of the event. 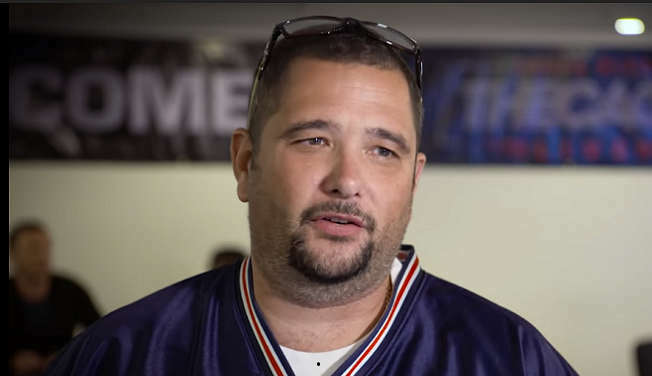 The list above contains the name Phil Nagy who is the CEO of the Winning Poker Network. That's right –the ultimate boss of the Live Cage was also one of its players. This isn't the first time Phil has taken to the tables to try to win money from his own customers. In this endeavor, he was successful, more than tripling his 5,000 starting chips. The proceedings were broadcast through Twitch.tv with a slight delay. WSOP bracelet winner Ryan “Protential” LaPlante and 2012 Main Event runner-up Jesse Sylvia provided commentary. As we mentioned above, this was the first Live Cage event in the Pot Limit Omaha variant. Furthermore, there were several other new wrinkles added to the equation. The most significant new aspect to the Live Cage was perhaps the ability to Double Buy before the cards started flying. Everyone who exercised this option by paying another $5,250 received an extra $5,000 chip. They could then put this extra sum into their stacks at any point during the competition (except during the middle of a hand). If anyone who bought in for double lost all their chips but still had the Double Buy held in reserve, then using the chip to rebuy became mandatory. This was the only type of rebuy or add-on permitted. Players who made it to the end of the competition with their Double Buy unused got to exchange it back for the full purchase price ($5,250). In total, 11 of the 30 entrants used the Double Buy, creating a prize pool of $205,000. The Double Buys were responsible for generating the largest Live Cage prize pool ever as well as the biggest winner despite the fact that the installment that ran in September/October had a larger number of registered players: 40. This tournament employed the controversial button ante system whereby the player on the button paid the antes for the entire table. In order to make preflop calculations of the pot size easier, these ante chips were held apart and not considered as part of the pot until the flop was dealt. This sped up the pace of the game because players could count on a pot-sized opening raise remaining the same value throughout each of the four blind levels. Enhancing the excitement was a rule that whenever contestants were all-in with no further betting possible, they automatically ran it twice, dealing out two sets of community cards. The winner on each board collected half the pot. Running it twice may have slightly increased the time it took to play hands, but this was more than counterbalanced by the effects of the shot clock that was deployed at the tables. Each dealer had a tablet with him or her that counted down from 45 seconds whenever the action moved to another player. The mere presence of the timer incentivized players to make their decisions without any needless delays. For larger pots and pivotal tournament decisions, extra time was allowed. 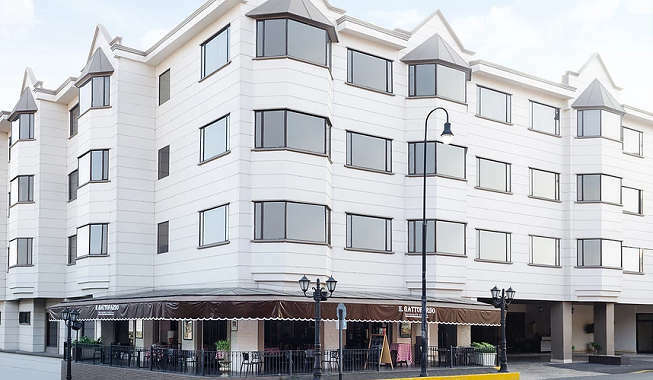 The Cage Live was hosted on the fourth floor of the Taormina Hotel and Casino in San Jose, Costa Rica. Because of the small field size, there was no need for a massive auditorium-style venue. The Live Cage ran in a room that had fewer than 10 tables –and not all of the tables had to be used during the tournament. Players were able to enjoy a relaxed, cozy atmosphere. Food and drink were delivered right to their seats, and participants had the ability to eyeball hands in progress at other tables without having to get up and walk a large distance. The Taormina Hotel is in the middle of renovations, and so we encountered some small problems, like the central air in our rooms not working properly when we first checked in. As a more intimate venue, the Taormina lacks some of the amenities that globetrotters may expect, like a pool and gym. If you're after poker action, though, and intend on spending as little time as possible away from the games, it will more than suffice. There are a limited number of slots and casino table games as well as a sportsbook. Everyone who won an $8,340 Cage Live prize package online was treated to several additional fringe benefits provided by the Winning Poker Network. These freebies included transportation to and from San Jose International Airport: not necessarily anything to write home about but certainly appreciated by individuals in an unfamiliar city trying to avoid being overcharged by taxi drivers. There was a free dinner on Nov. 30 where players got to meet each other and some of the poker site's staff members. Complimentary early morning breakfasts served as a fine way to start off the day. Winning Poker Network CEO Phil Nagy invited players to take a tour of the WPN offices where he explained the various departments that he oversees and his plans for the future. Phil and several of his employees gave an informative presentation and addressed questions from the audience. We certainly learned a lot about what goes on behind the scenes at an online poker operation and were appreciative of this opportunity to expand our knowledge. Besides the main attraction, at which we were mere observers, we got several opportunities to play for low stakes with some of the players and staff involved in the Live Cage in between rounds of the headline event. The CEO of Americas Cardroom and the tournament director both sat in a $5/$5 PLO game, meaning that when you attend the Cage Live, you don't have to content yourself with speedy online poker payouts from the ACR poker site – you can also attempt to score some of the room's money in a live setting directly from the head honchos! 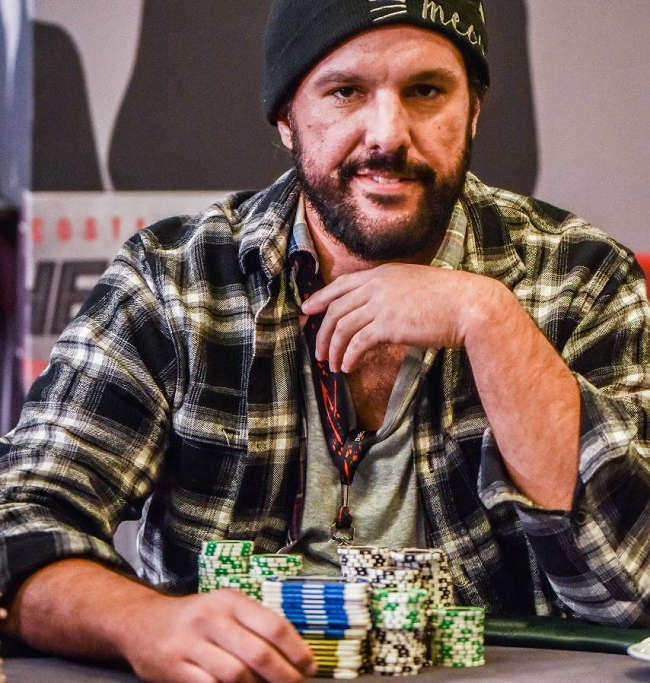 Although some caution may be in order because we hear that Phil Nagy has sharpened up his game a bit in the past couple years as evidenced by the fact that high-roller Bill Perkins refused to play Phil heads-up last November. We really have to compliment the dealers on their competence. Regardless of the unusual games they were asked to spread, they took everything in stride and made very few mistakes. Perhaps by now, they are used to the odd gameplay requests they receive from the action-lovers who work for the Winning Poker Network and their Live Cage qualifying players. Another successful Cage Live is in the books and with a record payout total to boot. The number of players at this event was less than in the preceding one, but this may be a consequence of the Live Cage overlapping with a $250,000 guaranteed tournament held in neighboring Panama over the same weekend. This latter event, which ran at the Sortis Casino in Panama City as part of Jackie's Poker Tour, probably drew in a few registrants who would otherwise have joined the Live Cage instead. 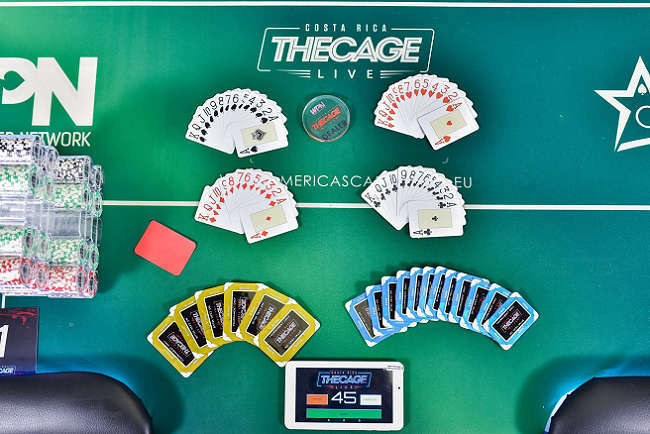 Despite this competition for players, the latest running of the Live Cage created the most lucrative prize pool of the five that have occurred. The Double Buyin deserves the lion's share of the credit for this, and we can most likely expect this to remain a permanent element of the Live Cage going forward. Other developments, like button antes and running it twice, may or may not reappear based on feedback from players. One other thing about the Live Cage may warrant the attention of the organizers. It's entirely possible that the presence of some of Americas Cardroom's top players at the event negatively affected traffic at the online poker room. The $2,500 + $150 Sunday Venom, which guarantees $1,000,000 in prizes, failed to garner enough entrants to run on Dec. 2, and it was therefore canceled. It fell short of the minimum 45 required by just 5, and it might be the case that 5 or more of the Live Cage attendees would have played the Venom if they were not otherwise engaged at the offline poker tables. Although there are those who elect to buy in directly to the Live Cage, most prefer to win their seats online in qualifiers. The next Live Cage is scheduled for Jan. 25 - 28, 2019, but if you win an entry online, you can choose to attend any of them within the next seven months. As long as you can put in the weekly volume to achieve a respectable position in the Sit & Crush or Beast leaderboards at the Winning Poker Network, you can gain entry into satellites for free and win your seat at no cost to yourself! Read our review of Americas Cardroom to find out more about its games and learn how to open up a new account. If you'd prefer to check out an alternate WPN offshore poker room instead, then browse over to our BlackChip Poker review, True Poker review, or Ya Poker (non-US) review.